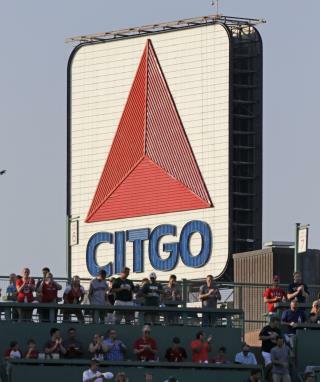 (Newser) – Outsiders may not realize it at first, but the Citgo sign that has stood over Boston's Kenmore Square since 1965 is a beloved part of the city's heritage—and Bostonians won't let it go without a fight. After a proposed building sale put the 3,600-square-foot LED sign's future in doubt, causing a public outcry and an online petition, the Boston Landmarks Commission has agreed to investigate whether the sign should be given landmark status, NPR reports. The sign "has encouraged many thousands of Marathon runners and its gleaming red triangle has presided over countless innings at Fenway Park," states the petition, which calls the sign a "beacon for the region" and a landmark that "says 'Boston' just as much as Old North Church and the Swan Boats." Anyone that's not from Boston wouldn't understand this. I lived here all my life and gone to countless games at Fenway and to not see the sign is almost like not seeing the green monster. Luckily it hasn't been eaten by the Sinclair dinosaur.